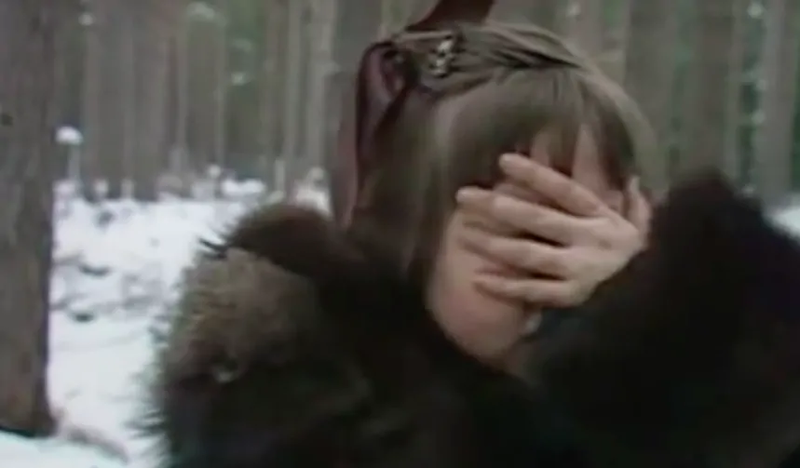 The BBC’s old Chronicles of Narnia miniseries occupies a special place in the hearts of many children of the ’80s, who were able to overlook some of the adaptation’s more regrettable elements (cringe-y child actors, Zoobilee Zoo-type costumes) in favor of its better ones (a good-to-great voice acting cast, better-than-necessary score). But however poorly the adaptation has aged, its outtakes are timeless. There are plenty of delightful hijinks like a napping Aslan and a White Witch with an unstable crown but the undoubted stars of this reel are poor Mr. and Mrs. Beaver (Kerry Shale and Lesley Nicol), whose giant beaver costumes rendered them unsteady and off-balanced, liable to fall over at the slightest breeze, resulting in a moment that begins around the 1:07 mark that has made this writer laugh harder than anything else he’s seen all week. Fun fact! Mr. Beaver (Shale) would go onto be the voice of Sir Topham Hatt in various Thomas the Tank Engine TV adaptations while Mrs. Beaver (Nicol) is now well-known as Mrs. Patmore in Downton Abbey. Neither of these roles involve beaver costumes which is, all told, for the best.